Place a casserole pot over a medium heat, add half of the olive oil and cook the onions and carrot for 3-4 minutes until soft. Meanwhile in a frying pan cook the sausages in the remaining oil until nicely browned. Add the potatoes to the casserole pot with the rosemary, Worcestershire sauce and stock. 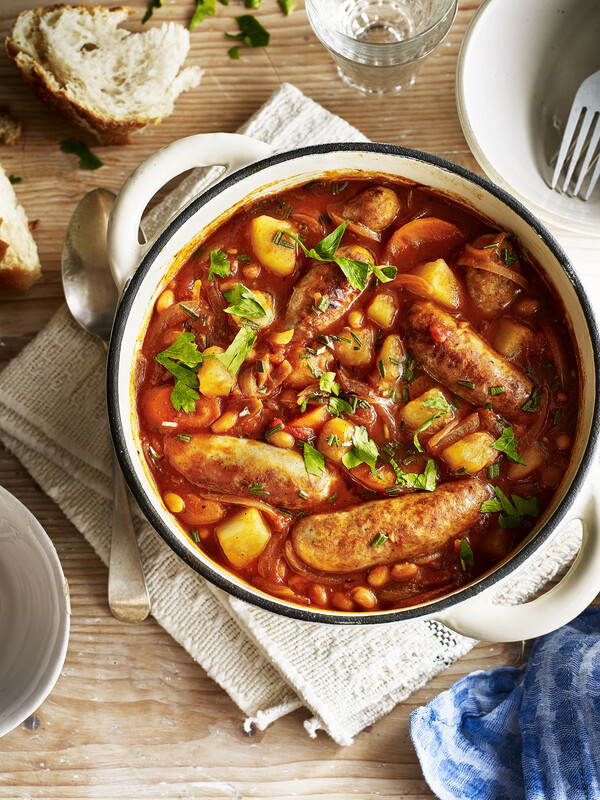 Add the sausages to the pot with the tinned tomatoes, haricot beans and parsley and cook with a lid on for 15-20 minutes, stirring every so often.